Wannabe bitcoin futures traders can give the market a try with a new simulation tool. 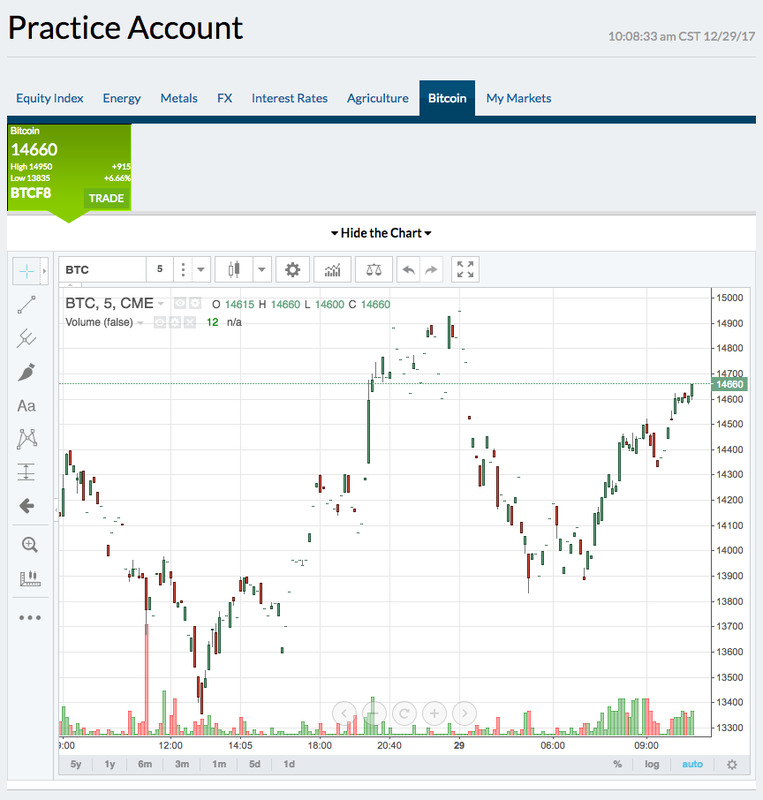 CME Group added the free tool to its CME Institute suite to help educate investors about the new product. CME launched bitcoin futures earlier this month. 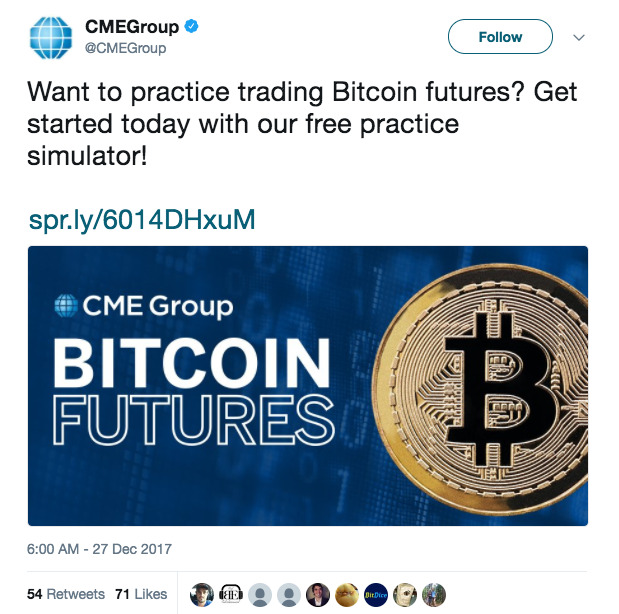 Wannabe bitcoiners now have a way to try their hand at CME Group’s bitcoin futures market without any risk. CME launched its futures market, which allows investors to bet on the future price of the red-hot coin, on December 18. Cross-town rival Cboe Global Markets launched its own bitcoin futures market earlier in December. The new markets have further unleashed bitcoin onto mainstream financial firms. 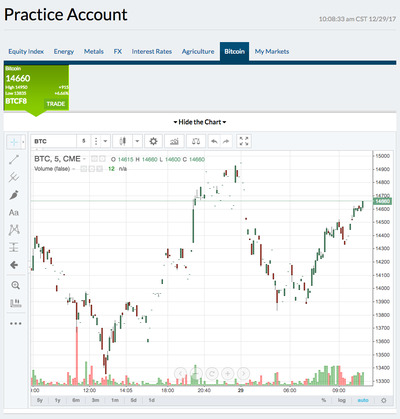 Brokerages TD Ameritrade and E-Trade now allow clients to trade the product on their platforms. A number of market-making firms such as DRW, DV Trading, and Akuna Capital are providing liquidity to the markets. Still, interest in the market from investors remains low. Volume for CME’s futures contract set to expire in January is just 723 at midday on Friday while Cboe’s is a bit higher at 3,144. By way of comparison, front month gold futures volume is 158,000, according to Bloomberg data. Volumes are typically muted during the holidays. Of course, bitcoin futures trading is still in its infancy. As investors become more comfortable with the product and it becomes more established they may decide to jump on board.